Bamboo-shaped bottles for a tropical twist. 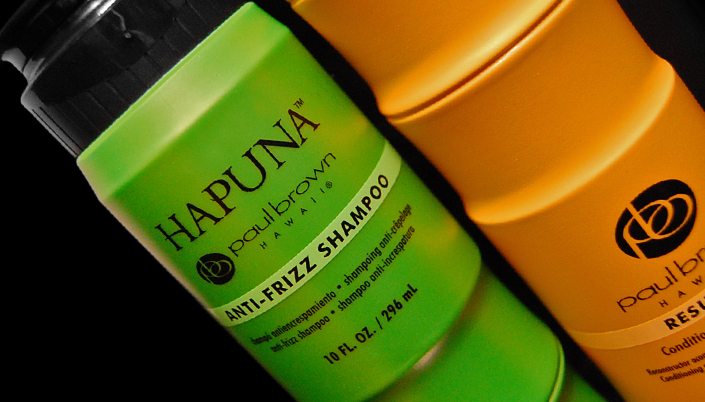 Paul Brown Hawaii's Hapuna Keratin Retexurizer Stylist Caddy earned a Personal Care Prestige Award at the HBA International Package Design Awards. The judges based their decision on originality, design concept, creative use of new marketing materials, components and decorating processes, as well as technical competency and effective brand messaging. More importantly, Studio One Eleven helped create traction for the new product line. The Studio's involvement started when Paul Brown Hawaii requested a package that exuded 'tropical luxury.' Within 24 hours of receiving the brief, Studio One Eleven submitted a solution and initiated a series of color tests. While its structural design group finalized the development of new bamboo-themed bottles, the Studio's visual branding team created a new Paul Brown Hawaii Hapuna logotype and a brand communication system that spans cleansing, conditioning, and styling products.